In 2006, after finishing with my contract in Niger, rather than fly straight back to Australia, I took a slight detour. By slight, I mean one-month. By detour, I mean a 7,500km overland hitch from central West Africa to Spain. It was a lot of fun. Leaving Tomboctou, then, I travelled to the riverine port of Mopti. Mopti’s about four hundred and fifty k’s south and west of Tomboctou, and there’s nothing that can really be called a direct route to Mopti. Partly because there’s no such thing as a direct route to Tomboctou. The nearest sealed access road to Tomboctou is three hours south, in the dry season (and without a tyre blowout, as I had already discovered). Though, would you believe Tomboctou has an international airstrip…? I wasn’t really that interested in going by road, however. The Niger River, in its tortuous circuit, loops northwards deep into the Sahara Desert and at one time kissed the southern edge of Tomboctou itself; the old port area is still visible as a slight depression in the sand on the edge of the old town. Today it’s about thirty km south and there is a grubby, bustling little port called Kourioume. From there the boats run. The boats in question are called Pinasses. They are large cargo canoes, up to 3m wide and about 20m long, roughly the dimensions of a large bus. Owners load these beasts of burden with cargo- I’d estimate an easy 50 tonnes on a fully-laden boat, which will sit sunk to within a couple of inches of the gunwhales- and passengers- another fifty or so, crammed beneath thatched roofing, or perched atop in the blazing Saharan sun. For four days, I chose the latter. And it was one of the best journeys of my life. For four days, I did little, except sit atop the thatching, wrapped in my turban, reading a novel (Triumph of the Sun, by Wilbur Smith, if you must know), writing in my diary, praying, thinking, decompressing, and watching the Malian desert slip slowly by, village by village, canoe by canoe. There was more to it than that, of course. And I’ll try and share it some time. But in the meantime all I’ll say is that I arrived at Mopti tired, hungry, thirsty, and one of the dirtiest I’ve ever been. But very, very happy. 1. Smooth Waters: A pirogue (small canoe) navigates the gentle current of the Niger River in Mali, just shy of sunset. 2. Public Transport: (Above) An SNTV desert bus between Niamey (Niger) and Gao (Mali) on one of our many ‘technical’ stops on that 24-hour journey. (Below) Pinasses drawn up on the riverbank at the tiny port town of Tonka, square in the middle of Nowhere, Mali. (Note: You can see my backpack on the roof of the one with all the colourful drums in the hold 🙂 ). 3. Call to Prayer: The UNESCO World Heritage Djingarei-Bar Mosque in Tomboctou. The ‘spikes’ coming out of the minaret are part of its packed-mud framework, typical of the ‘Sudanese’ style. 4. Market Day: Crowds of colorfully-clad buyers and sellers throng on Tonka’s foreshore, where pinasses provide the lifeblood of supplies and commerce up and down the Niger river. 5. Pinasse: A cargo-canoe manouevres out of Tonka’s little harbour. 6. Barque: Just another fragile little vessel on the waters of the Niger. 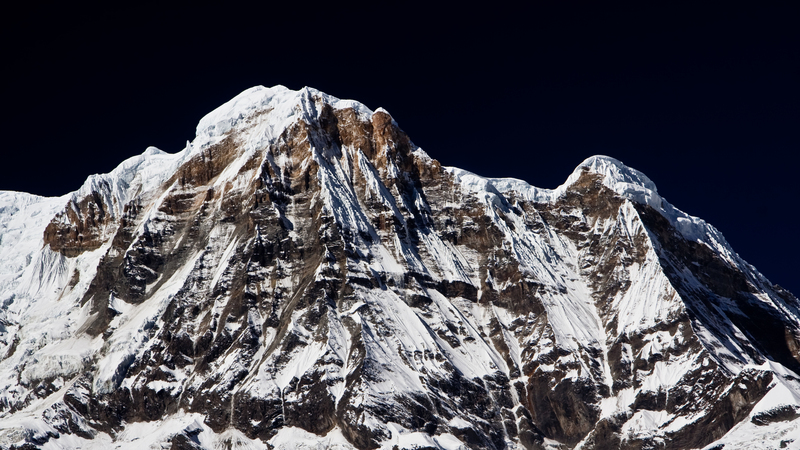 At 6,993 metres’ altitude, it’s not Macchapuchare’s height that makes it such a distinctive mountain- in fact, by the standards of Nepal’s Annapurna Himal, it’s a tiddler. Instead, it’s what’s known geologically as its prominence– the amount by which its peak stands out from those around it. 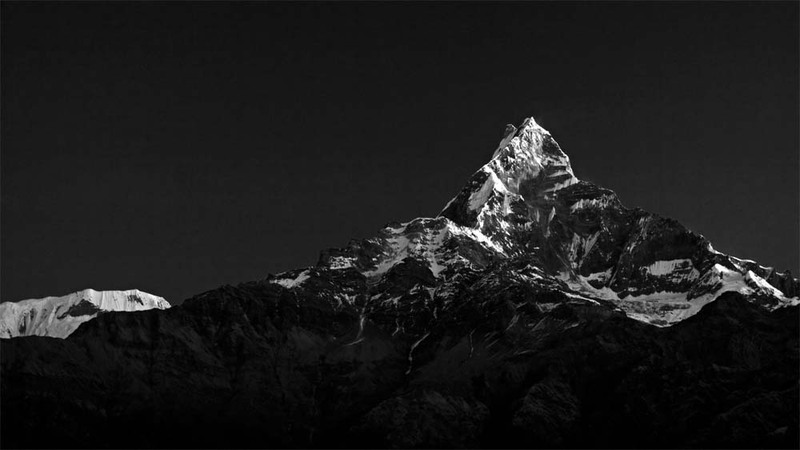 Possibly Nepal’s most visually memorable landmark- it’s less known than Everest, but photographed far more often- scarcely a visitor to the Pokhara region doesn’t have its sharp face etched on their memory. From the front, the mountain has a distinctively pyramidal face, from whence it gets its nickname as the Matterhorn of the Himalaya. From the side, however, its peak is shaped like a ‘V’, giving rise to its Anglophone name, Fishtail Mountain. 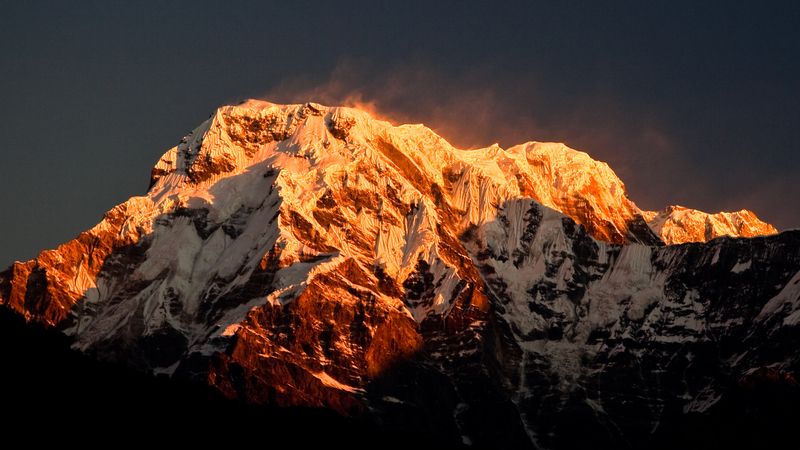 To local Nepalese, the mountain- like many- is holy. The peak of Macchapuchare is thought to be a place where the gods come down from heaven and touch the earth. Therefore it is entirely taboo to climbers. Even trekkers passing beneath its mighty face are expected to leave a flower on the ground before it. The only expedition to gain permission to climb it was granted permission on the understanding that nobody would actually touch the summit. The climbing party did indeed manage to scale the formidable fortress of her walls, and then, within a short scramble of the peak, clung to their word and retreated back down the mountain. 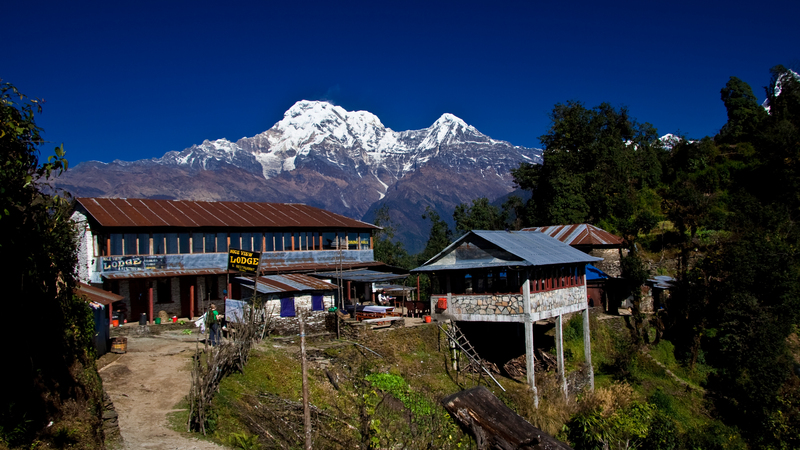 I took this photo early in the morning from the small town of Dhampus, near the start of the Annapurna Sanctuary Trek. The sun had just broken clear of the low valley haze and was caressing the tip of the peak. The air was still and clear. It was the perfect start to a morning in my books. To this day, Macchapuchare remains one of the most beautiful expressions of mountain that I have ever seen.